Bee's Circus: 569. 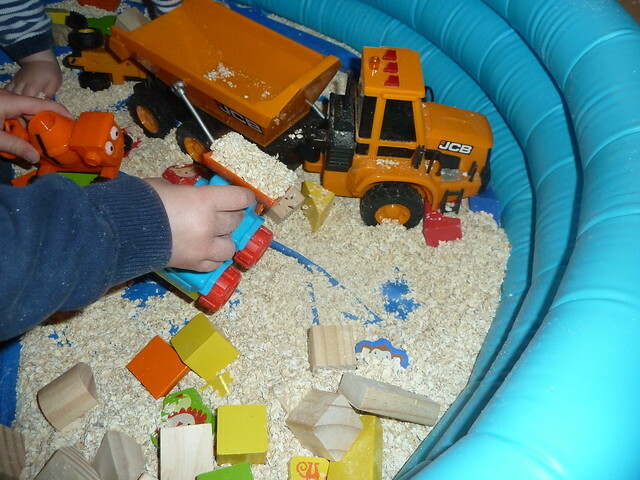 Oat Construction. Messy Monday. 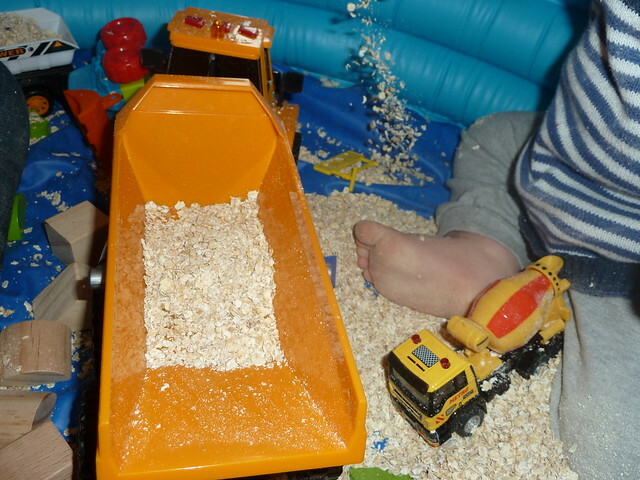 Inspired by the lovely Emma, on a boring, rainy afternoon I blew up the paddling pool and filled it with oats. 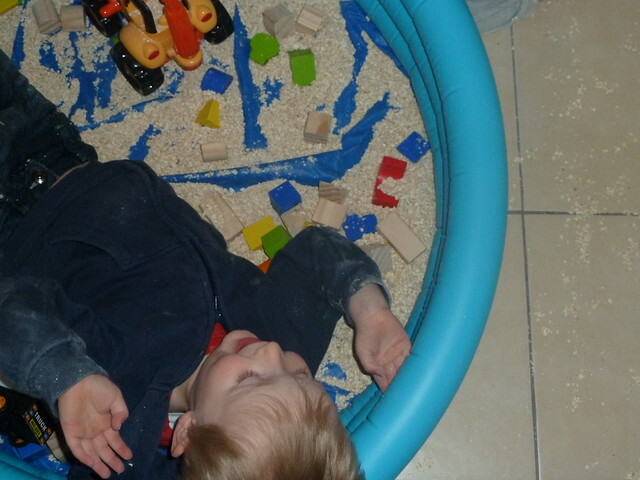 Daniel often plays with dried beans or lentils, but I liked this idea because I knew Joshua would try to eat it! As pictured above, he wasn't too impressed but that didn't stop him trying again, and it wasn't the end of the world because it was edible. Even Daniel had a nibble! 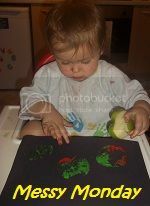 Perfect messy play for my greedy guts. 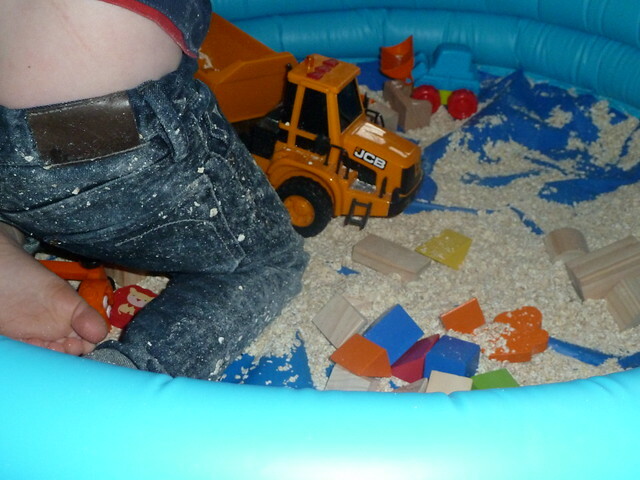 While I blew up the pool I asked Daniel to get out some of his diggers and construction toys, and I added some wooden bricks. 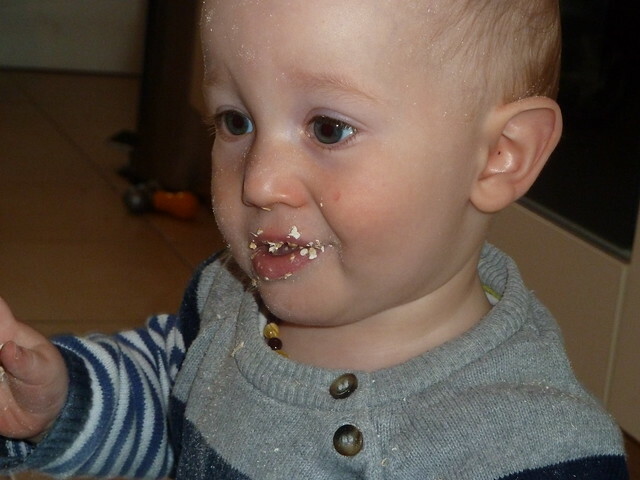 Next time I think we might use cups and spoons. 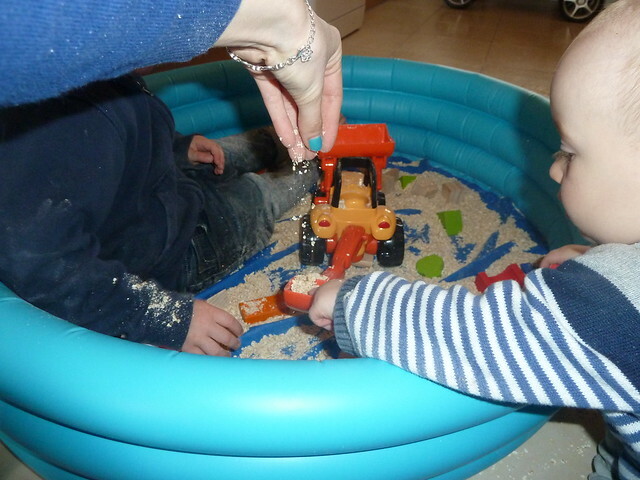 Joshua liked grabbing handfuls and throwing it into the air, and crawling through it on the floor. 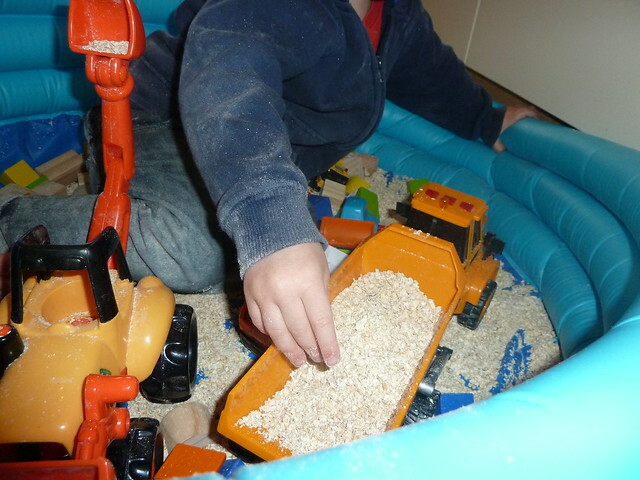 Daniel liked filling up the loaders and buckets, and pouring the oats. 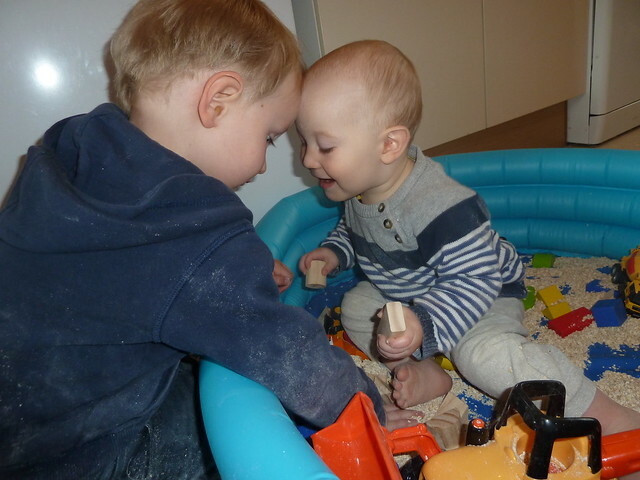 It was lovely watching them play together. 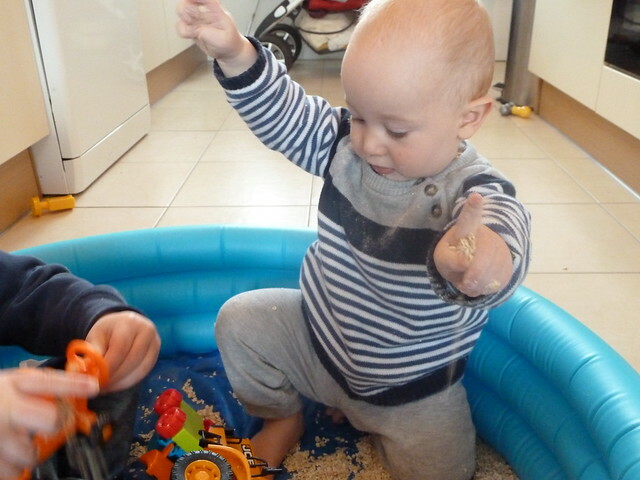 i underestimated how messy this would actually be, Daniel's clothes were white and there were oats EVERYWHERE. 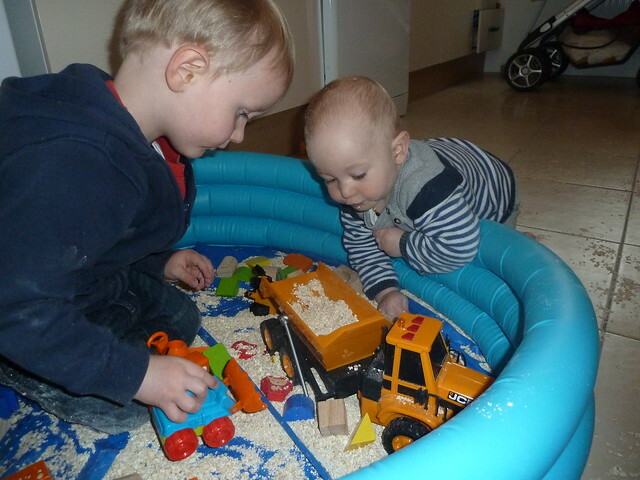 So worth it though, they both literally played with this for well over an hour, and had a great sensory experience!